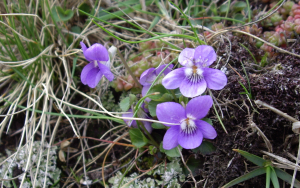 Observation - Common Dog-Violet - UK and Ireland. Description: One of the few flowers out on the exposed headland. At least it shows spring is on its way! One of the few flowers out on the exposed headland. At least it shows spring is on its way!